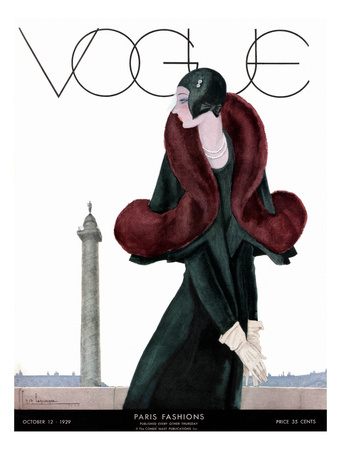 By the 1920s fashion had undergone dramatic changes which were sweeping the world. 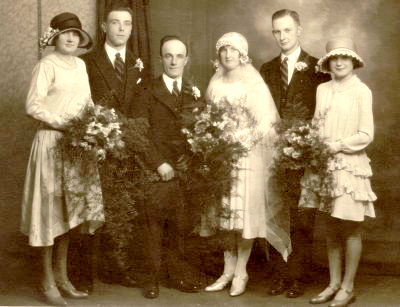 The photograph below is of a wedding party in around 1925 with my grandmother on the far left as a bridesmaid. She was a milliner in the Binns Department Store in Middlesbrough in the Northeast of England, and obviously had her eye on the fashions of the day. Little did I realise when I was growing up that I had such a fashionable Grandma! The advent of women's magazines and advertising meant that fashions which were originating in the Paris couture houses of designers such as Coco Chanel were reaching the far corners of the globe in record time and even the working classes of the North of England were managing to keep up with the times. The girls in the wedding party are wearing the shorter skirts which were in fashion from about 1924 - 1927 and have the style of the flapper dress with an uneven hemline and a daring lower neckline. They are wearing the low heeled shoes with the little button over strap which were so essential for dancing the Charleston without your shoes falling off! They were known as Mary Jane's a name which came from a character in a comic strip from the early 1900s. 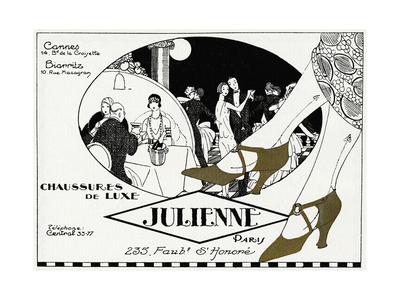 There is no way they would have afforded the luxury Parisian versions shown in this print. Flapper fashion wouldn't be complete without the cloche hat which was worn with a short brim from 1922 - 1925 as shown in the photo. The Art Deco style was often incorporated with zigzag patterns as seen on the brim of the hat on the right. The look would be completed with a touch of typical 1920s makeup influenced by the vamps of the silent movies. The cloche hat was worn low over the forehead which meant that women developed a habit of holding the head back to see where they were going! Its tight fitting shape meant it was ideal for the new pursuit of motoring around the countryside. The shape was popular for weddings with a lace version being made for the bride. Sadly, I don't know who the Bride and Groom were, obviously friends of my Grandma well before my Dad was born. If anyone recognises them, I'd love to know. 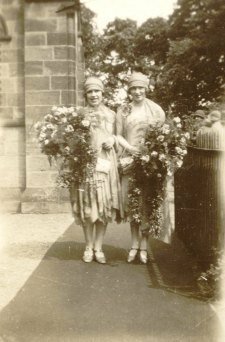 Likewise the two Bridesmaids in the gorgeous Art Deco fashionable flapper dresses with the zigzag hems and the shorter brim Cloche Hats. More friends of my Grandma, lost in the mists of time. The 1920s were the Golden Age of Fashion with incredible competition and intrigue among the top Fashion houses of Paris and London such as Paul Poiret, Jean Lanvin, Chanel and Schiaparelli. With the growth of advertising and magazines, the woman in the street also wanted the glamour of the top end houses, and demand grew for ready to wear ranges of the newest styles that were affordable for all. New and cheaper fabrics meant that this became reality and the working girl could be as chic and elegant as her richer sisters. This is a gorgeous video of genuine 1920s fashion from BritishPathe. Turn your speakers up to get the sound too. 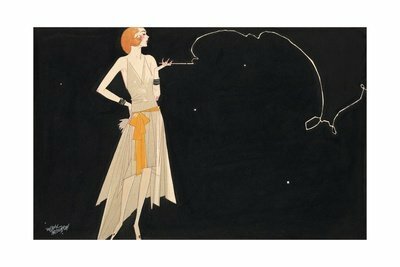 It was the age of accessories, with the daring flappers smoking and putting on makeup in public. Every girl had to have her makeup, her compact, her cigarette case, and her beaded handbag dangling from one arm. Lots of jewelry was worn, either diamonds and platinum if you could afford it, or the cheaper materials like chrome and Bakelite if you couldn't. Long beads and lots of bangles, brooches, dress clips and long earrings completed the look. Have a look at the vintage 1920s listings below and there are many other ideas and different listings on all the pages of this site. Enjoy a good browse around! See Also How to Dress Up in Roaring Twenties Costumes!